This is an excellent lap size quilt , 64" x 70", for a beginner. 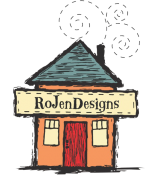 At RoJenDesigns, sewing classes are offered for students as young as 8 years of age! Using a proven curriculum, Kids Can Sew, children can learn to sew in a relaxed atmosphere, learning at their own pace.